200 Watts x 5 High Current Power Output, Dolby Digital, DTS Processing, and Dolby Digital 6.1. I have had this unti for 10 years and am very happy with it.Clean clean sound and options for pretty much any type of music. I paired it up with a second Carver amp. Speakers are as follows. 1990 bought new Cerwin Vega 12 inch towers in the front 1982 bought new and reconditioned in 2004 in the rear JAMO center and 1000amp dual band pass sub . I know there are higher end components but this combination really is a very nice very powerful and clean with lots of great sound options . Pre amp out quit working but I am sure it's an easy fix. Articulate preamp section, high current amps, build quality. No DPL II, 6 channel matrix uses two rear amps to develop the 6th channel. This receiver won out against the likes of B&K 307 and the Denon 5800. Both excellent units and more capable in switching and 7 channel output plus the component video switching.The switching matter is not an issue to me as I see no reason to limit the bandwidth and go directly into the monitor. My prime consideration was the sound quality and amp headroom. Carvers c1000a is very adept at music as well as theater. In this subjective review but the Carver simply sounds more detailed and delivers more power when needed than the Denon. The Carver is discontinued so given the price it is a rare find. Grab one quickly, not likely you will be disappointed. Beautiful clarity and sound regardless of volume position. Great with all types of music from classical to rock. The DTS and Dolby Digital processor mode is awesome. None to speak of its awesome in my opinion. Bob Carver has come back with a Carver amp that is simply breathtaking. He has brought prestige back to the Carver name. The C1000A is a awesome 6.1 channel home theater control center. It's sound is trememdous with everything from music to movies. Bob Carver has done his name proud. A good, powerful HT receiver. Well built with excellent dynamics and a clear detailed sound that rivals more expensice separates even in 2 channel mode running into high end audiophile speakers. 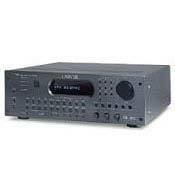 The amplifier capability is the major strong point of this receiver. Other receivers with similar power (not many!) cost considerably more when viewed against the recent sale price of around $1200.00 (available all over the WEB). I borrowed one of these to eveluate before purchase. Once I opened the box it became appearant why the sale prices abound, no component switching. Unfortunitly, this receiver is flawed by a major limitation, it has no capability to switch component video. And for a receiver in this class, it's a fatal flaw. The C100A has only composite and S-Video switching and with component outputs on inexpensive DVD players and inputs on low price, large screen TVs, it means that you will have to degrade the video to s-video or composite. Given its strength in other areas this is a surprising omission. People looking to spend $1200.00 plus for an HT receiver usually aren't terribly constrained financially, so while this is a good deal for lots of power and it does have fine audio performance, I have to give it a pass based on the omission of component switching alone. I'm sorry to be negitive on the C100A, I really like it in so many ways and the price is certainly righ, but the switching limitation just can't be ignored, anyone purchasing this much receiver is going to run afoul of the video switching limits very quickly.